The Bilingual Child Month Is Here Again! It is that time of year to celebrate: The bilingual child month is here! We are delighted to have the opportunity to celebrate this wonderful month with you! Being bilingual is fun and fabulous – what a perfect reason to celebrate it! The best part of this celebration is that it doesn’t take much effort to focus on bilingualism: share a bilingual book with your students, visit an international district in a nearby city, or hang out together talking about the different languages spoken in your classroom or community. These are such wonderful ways to bring language and culture into our students’ lives. Parents can be encouraged this month to pay special attention to the home language. Send home bilingual books and tell parents about the many benefits of speaking their home language(s) as much as possible! Last year in our post Celebrate the Bilingual Children Month, we shared some of our favorite ways teachers can share bilingualism and biculturalism with their students. We suggest that you read it to find out if any of the tips might come in handy in your classroom this year! Starting school for the first time can be both an exciting and nerve-wracking experience for a young bilingual child. Aside from possible language barriers, cultural differences may often play a role. Things that are done in the classroom often do not match what a child is used to at home and this can make a bilingual child feel especially uncomfortable and insecure. It is important to give bilingual children a lot of time to get used to the classroom setting. Although this is true for all children coming to school for the first time, for bilingual children there are some unique elements which can help them transition more successfully. Nowadays many libraries and bookstores are delighting their patrons with storytimes. 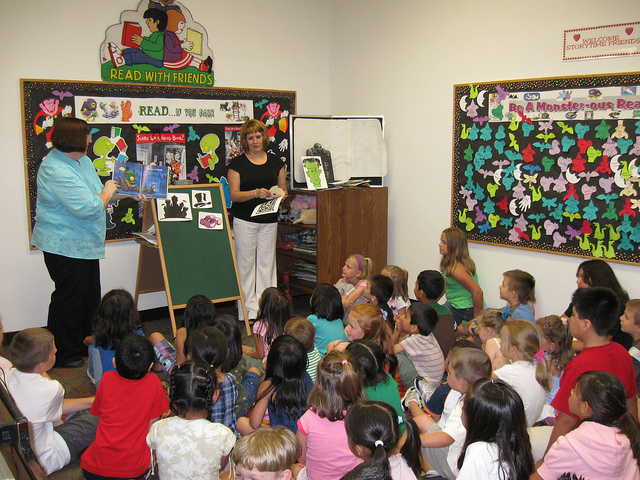 Children love the magic of a good book that is brought to life through the skills of a good presenter. It is an opportunity for children to travel to new places that have never been explored and to experience adventures that have never been undertaken. The elements of a successful storytime are essential: A book with a great storyline, captivating pictures and an energetic presenter who is willing to act out the parts. Poor stories, illustration or delivery can disappoint children who were hoping to be swept away. In many places around the world, bilingual storytimes are becoming extremely popular. In addition to the basic criteria listed above, presenters must be attentive to the language mix of the target audience. Some storytimes are only in one language (e.g. Spanish or Chinese) while others have a more bilingual approach (e.g. using both English and Spanish during the same storytime). 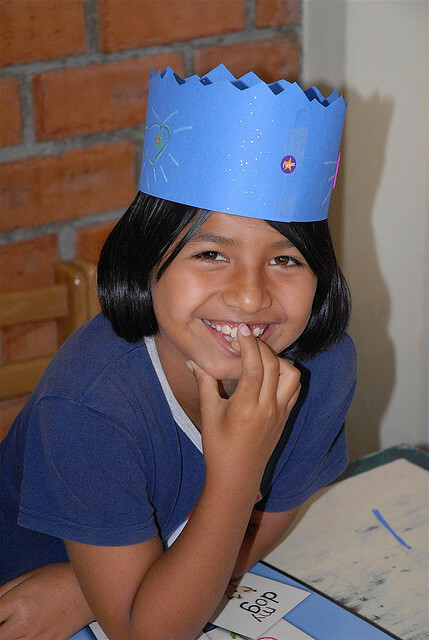 While some storytimes are intended to support the home language, others are focused on helping students learn a new language. Back-to-school sales line the aisles of supermarkets and drug stores; children roam department stores picking out new fall clothes; and parents rush around with check-lists of items their children will need in the coming weeks and months. Yes, the school year is about to begin. For bilingual children, this time of year may feel a little daunting, especially for those who will be starting school for the very first time. In addition to all of the feelings that many students face on their first day of school (nervousness about what the teacher may be like, excitement about meeting new friends, concerns about what will be expected), bilingual children may have additional worries: Will they fit it? Will their English language skills be up to par. Will they understand everything that the teacher says? Will other students make fun of them because of their accent? For teachers who are not used to working with bilingual children, there may be an assumption that to help these bilingual children feel comfortable in the classroom they will need extra attention. This may very well be the case, but if it is not done with care it can backfire. A bilingual child who already feels out of place may feel even more so if a teacher ends up giving him too much special attention. What a bilingual child may want the most is to have the chance to fit in and to be just like everyone else, not singled out due to special circumstances.